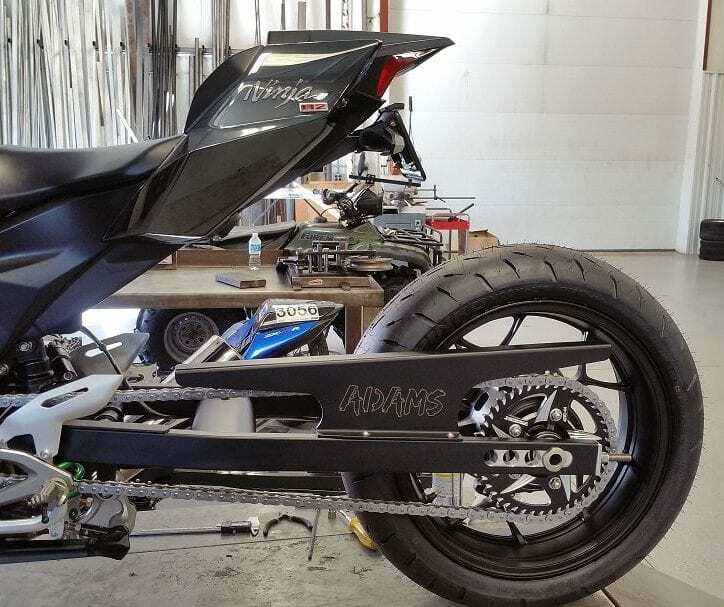 Adams Performance is proud to offer our Chromoly Strongarm Swingarm for the Kawasaki Ninja H2. The Fastest H2 Riders in the World Rely on Adams Performance’s Chromoly Arms to set Record after Record. The Adams Strongarm Swingarms for the H2 are all Hand Built In-House using the lightest and strongest materials available. Each one is constructed using our precision jig and Tig Welded at no less than 8 contact points. Bronze Oil lite bushings are used to replace the bearings and add ultimate strength and lubrication. Each Swingarm includes a built in air tank, 4″ of adjustment, chain guard and brake caliper bracket. Swingarms for the Kawasaki H2 & H2R are available in lengths from 30″ to 38″. The stock swingarm is approx. 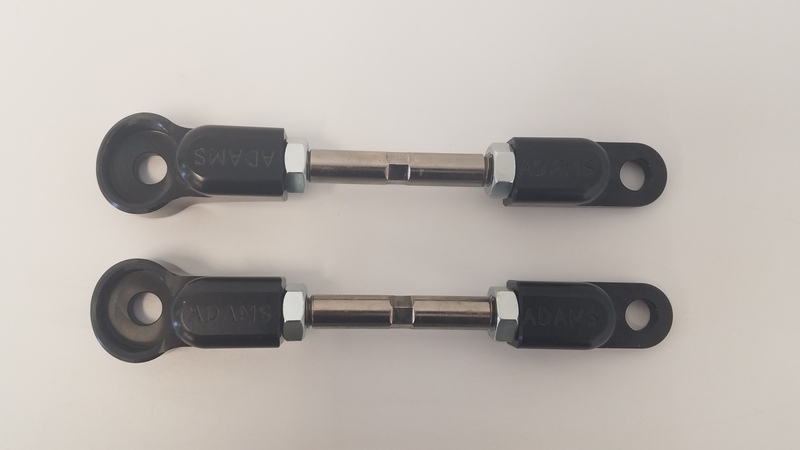 23 3/4″ in length. 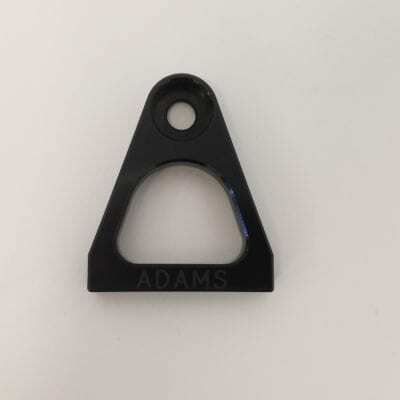 *The Adams Strongarm for the H2 will require the rear wheel setup for the ZX14R. Contact Adams for more info. 30" Max Wheelbase 64.5", 32" Max Wheelbase 66.5", 34" Max Wheelbase 68.5", 36" Max Wheelbase 70.5", 38" Max Wheelbase 72.5"